Histories written in the aftermath of empire have often featured conquerors and peasant rebels but have said little about the vast staffs of locally recruited clerks, technicians, teachers, and medics who made colonialism work day-to-day. Even as these workers maintained the colonial state, they dreamed of displacing imperial power. This book examines the history of the Anglo-Egyptian Sudan (1898-1956) and the Republic of Sudan that followed in order to understand how colonialism worked on the ground, affected local cultures, influenced the rise of nationalism, and shaped the postcolonial nation-state. 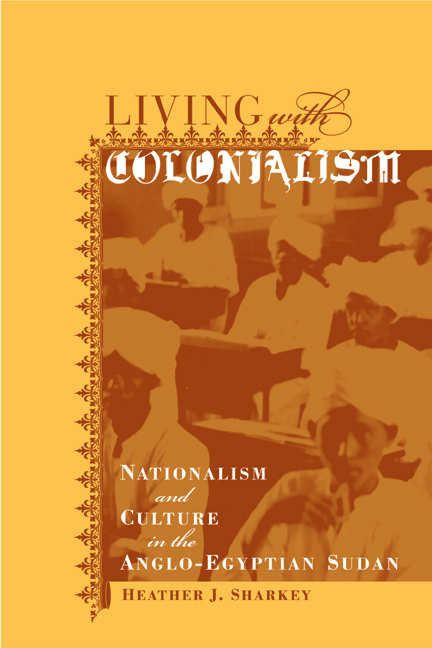 Relying on a rich cache of Sudanese Arabic literary sources, including poetry, essays, and memoirs, as well as on colonial documents and photographs, this perceptive study examines colonialism from the viewpoint of those who lived and worked in its midst. By integrating the case of Sudan with material on other countries, particularly India, Sharkey gives her book broad comparative appeal. She shows that colonial legacies—such as inflexible borders, atomized multi-ethnic populations, and autocratic governing structures—have persisted, hobbling postcolonial nation-states. Thus countries like Sudan are still living with colonialism, struggling to achieve consensus and stability within borders that a fallen empire has left behind. Heather J. Sharkey is Assistant Professor of Asian and Middle Eastern Studies at the University of Pennsylvania.